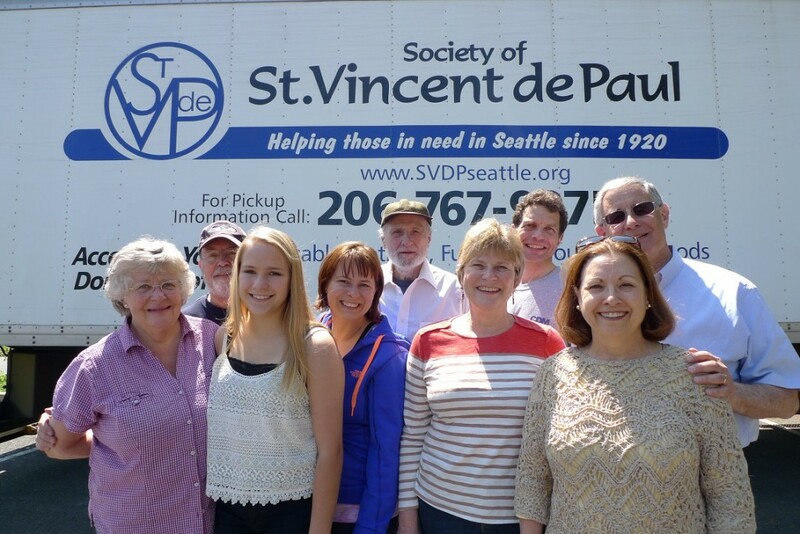 The Society of Saint Vincent de Paul (SVdP) is an international Catholic organization of laypersons, founded in 1833 by Frederic Ozanam, which strives to make a positive difference in the lives of those in need. SVdP is dedicated to feeding, clothing, housing and supporting individuals and families in our community who have nowhere else to turn for help. By providing help for peoples’ physical, mental and spiritual needs we are able to stress that everyone has value and importance in this world, as we are all children of God. SVdP also provides meaningful opportunities for volunteers to get involved in the parish as they serve their neighbors in need with love and compassion. When Saint Vincent de Paul ministry at Blessed Teresa of Calcutta receives a call from a family or individual in need two Vincentians (who are parishioners) visit the individual or family in their home and talk with them about their needs and situation. Our ministry has prevented scores of families from being evicted from their homes, paid outstanding utility bills to prevent electricity or water from being shut off, paid utility bills to have electricity or water restored to homes, delivered boxes of food, pay for minor medicine and dental treatment, provided gift certificates for clothing, furniture, gasoline and much more. From time to time we even refer some of the people we’ve visited to Saint Vincent de Paul’s case management counseling service in Seattle and to other agencies for additional (more comprehensive) assistance. Throughout the year, our ministry reaches out to our parishioners for help. Currently we conduct two main events: “Stuff the Truck” (collecting household furniture and goods that are donated to local St. Vincent de Paul stores for resale) and our Christmas Giving Tree and Holiday Dinner Drive (special holiday meal items and gifts are collected for needy families for Christmas and delivered by Vincentians the week of Christmas), but are planning to add a few more special projects in 2016. We are a smaller group of people that enjoy working together and working towards the common goal of helping those in need. If you would like to volunteer your time and talents by becoming a member of the Society of St. Vincent de Paul, we would love to have you! Many hands make light work and we are trying to expand our ministry so that we are able to do more special projects and reach out to more people that need our support, guidance and assistance. Monthly meetings are on the third Monday of each month at 7:00 PM at the church and usually last for about an hour and a half to two hours. All donations to Saint Vincent de Paul go to our conference at Blessed Teresa to help the needy in our local area. Parishioners are needed for home visits and to work on special projects and may volunteer any amount of time that best fit their schedule. Training sessions are held periodically and one-on-one sessions for parishioners who cannot attend the group training sessions. Click here to contact Darrel Vitulli or call him at 360-668-2601 to inquiry about volunteering or scheduling a training session.